Senator Michael J. Doherty is serving in his first term in the New Jersey State Senate as a representative of the 23rd Legislative District. On November 3, 2009, he was elected by the voters of the 23rd Legislative District to complete the four year term of Leonard Lance, who was elected to the United States Congress in 2008. Senator Doherty is a member of the Budget and Appropriations Committee, and the Labor Committee. Before entering the Senate, he served four terms in the New Jersey General Assembly, where he sat on various committees including the Appropriations Committee, the Labor Committee, the Agriculture and Natural Resources Committee, and the Housing and Local Government Committee. Senator Doherty was also a member of the State House Commission, the Teen Driver Study Commission, and the 9-1-1 Commission. In 2008, he served as Chairman of the Republican Assembly Task Force on Fiscal Accountability, which opposed Governor Corzine’s attempt to sell New Jersey’s toll roads to a private consortium. Senator Doherty was the prime sponsor of a Constitutional Amendment to require voter approval on State contract bonding and the prime sponsor of a college credit transfer bill that provides for a seamless transfer of credits from New Jersey’s county colleges to its four year institutions. In 2008 and 2009, Senator Doherty led the fight to stop the New Jersey Department of Environmental Protection’s attempt to eliminate the use of outdoor wood burning boiler units. He strongly opposes low-income housing mandates under COAH, as well as the Highlands Council. One of Doherty’s primary goals as a member of the Senate is to end the Highlands Council. 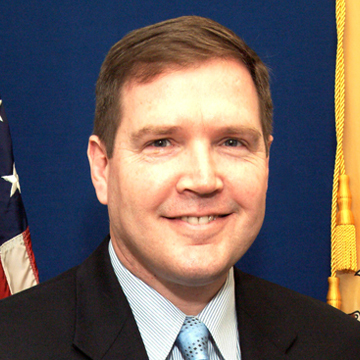 Based upon his record as a legislator, Doherty has been endorsed repeatedly by pro-business groups such as the New Jersey Business and Industry Association, the Commerce and Industry Association of New Jersey, the New Jersey Restaurant Association and the National Federation of Independent Business. He was awarded a perfect 100% voting record by the NFIB. His voting record is ranked A+ by the National Rifle Association, and has always been endorsed by New Jersey Right to Life. Doherty is an outspoken critic of judicial activism, and has introduced numerous pieces of legislation challenging court decisions and procedures. He was designated as “Legislator of the Year” in 2007 by the New Jersey Family Policy Council for his continued efforts to support pro-family legislation. Before being elected to the General Assembly, Doherty served on the Warren County Board of Chosen Freeholders. In 2000, Doherty defeated the incumbent Freeholder Director, a Democrat, to capture control of the Freeholder Board for the Republican Party. In 2001, he served as Deputy Director of the Freeholder Board. He was elected to serve as the Director of the Freeholder Board in both 2002 and 2003. During his three years on the Freeholder Board, Doherty cut the county tax rate by 21\%. Doherty also began a program to reduce the county debt so that today Warren County has the lowest debt of any county in the state. He also prevailed in a showdown with a Superior Court judge who threatened to jail Doherty unless he issued $5 million in bonds to fund an expansion of the local county college. The showdown was eventually decided by the New Jersey Supreme Court, which sided with Doherty and held that the Freeholder Board was correct to ignore the judge’s order. Mike Doherty was born in Point Pleasant, New Jersey on May 24, 1963. Doherty grew up in Glen Ridge, New Jersey and graduated from Glen Ridge High School in 1981. In 1985, Doherty graduated with a Bachelor of Science degree from the United States Military Academy at West Point, and was commissioned as an officer in the Field Artillery. Doherty served on active duty in the United States Army from 1985 to 1989 and in the United States Army Reserve from 1989 to 1993. He achieved the rank of Captain. In the Army, he was stationed in Germany and served as a nuclear operations officer. His unit’s mission was to utilize nuclear armed missiles to defend Western Europe and NATO forces from possible Soviet aggression. He was granted a Top Secret clearance to perform his nuclear duties. Doherty is a graduate of the U.S. Army Airborne School, the U.S. Army Jungle School and the Defense Language Institute (German). In 1993, Mike was awarded a Juris Doctorate degree from Seton Hall University School of Law. Doherty is a registered patent attorney, and is the owner of an intellectual property law firm based in Washington, New Jersey. Mike Doherty and his wife, Linda, reside in Washington Township, Warren County. Mike and Linda have three sons serving on active duty in the military. Their oldest son, Matthew, serves in the United States Army, their second son, Ryan, serves in the United States Marine Corps, and their youngest son, Jared, serves in the United States Air Force. Mike and Linda also have a dog, Murphy.